Elegant and bright apartment, impeccably decorated in a modern style, simple lines and high qualities. 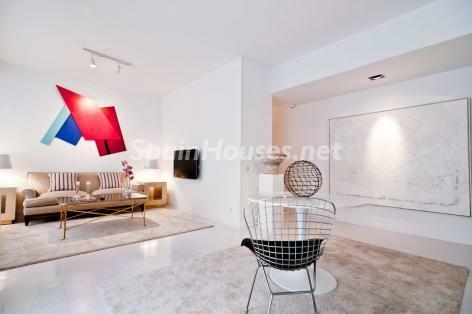 The home is Located in the very centre of Madrid, in Goya, close to Alcalá Street and the well known park of El Retiro. ...continue reading "Modern and Stylish Vacational Home in Madrid City Centre"
This week we will see a beautiful home in Benalmadena, one of the best spots of the Spanish Costa del Sol, very close to Malaga City and its airport. This spacious ground floor apartment is located in a luxurious urbanization near to the beach. Apart from being elegantly furnished, we would like to highlight its many facilities, such as swimming-pool, gym, garden area, tennis court, etc. 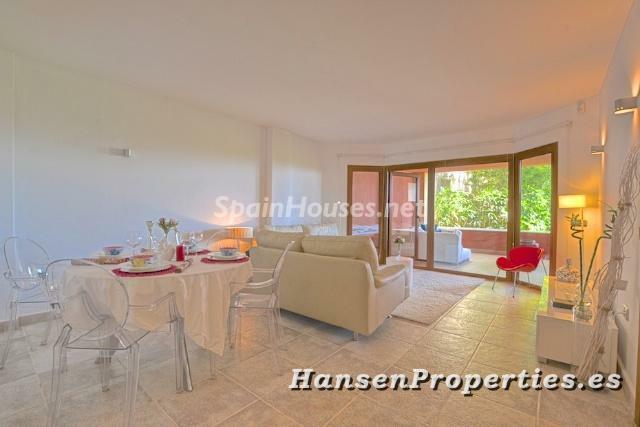 ...continue reading "Wonderful apartment for sale in Benalmadena (Malaga)"
This fantastic villa is located in Marbella, close to Benahavis, in one of the best areas of the Costa del Sol. It is about ten minutes far away from Estepona, 7 minutes from the famous Puerto Banus in Marbella and five minutes from the beach. There are also supermarkets, restaurants etc. Beautiful villa built in modern and minimalist style. It is distributed on two floors. It has a spacious lobby lounge with a cosy fireplace, dining room and a large covered terrace of 47.50 m2 with garden and swimming pool. On the second floor there are two large bedrooms with en suite bathrooms, the main one with Jacuzzi included. This amazing home offers many additional facilities: large dressing room, elevator, air conditioning, heating, electric under floor heating in bathrooms, surveillance cameras and alarm system, etc. ...continue reading "Luxury villa for sale in Marbella"
The exclusive villa has 3 floors. Big living room with gas fireplace. Kitchen and dining room. Laundry area. Desktop. One bedroom suite guests. A guest toilet. Access from this plant the gardens and swimming pool. Master bedroom with dressing area and suiite. A suite bedroom. Garage for 4 cars. Laundry area. Storeroom. Entertainment area and possible bedroom and bathroom areas. Community with only 4 villas security gate. Privacy and security. Centra air conditioning, hot and could. Under floor heating in bathrooms. Alarm throughout the House. Automatic irrigation system. Beautiful views to de garden and mountains.